Hi everyone, September will be arriving next week and with it will be the Friday Night Free Film season for 2015-2016! 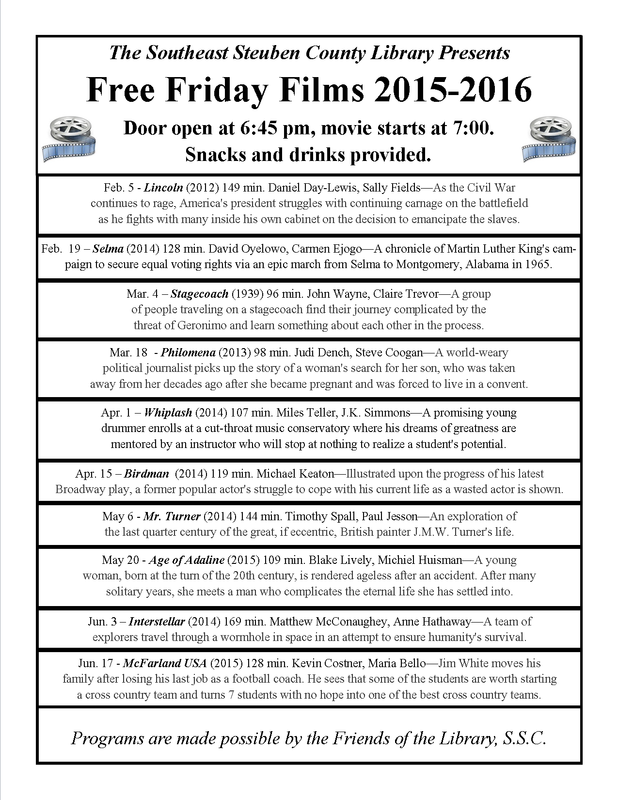 So here’s the Friday Night Free Film schedule in several formats to make it easier to share and/or print! Click the photos for a larger view. For all Friday evening films, both the Friday Night Free Film series of films which are shown the first and third Friday of the month, and the Monthly Science Fiction Film which are shown the second Friday of each month, library doors open at 6:45 p.m. to admit film-goers and the movies start at 7 p.m. sharp.